Located on the west shore of Burt Lake, this marvelous estate-size parcel consists of 245' of water frontage and 1.58 acres. The nearly 100 year old stately cottage offers 6 bedrooms - 2 with private fireplaces. 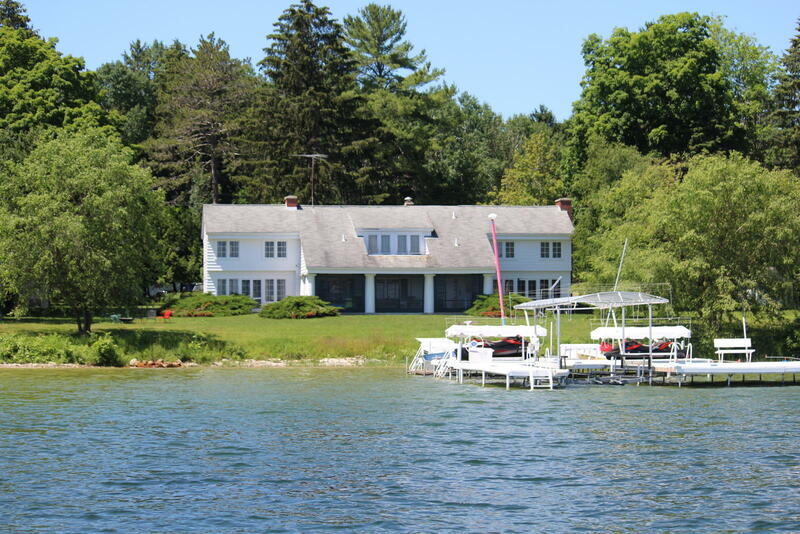 The large lakeside screened porch provides incredible views of the lake. The dining room, living room, and family room each have a private fireplace and views of the water. This seasonal only cottage has numerous update or could make the perfect location for your newly constructed home. The 5 car garage is perfect storage for lake living. A beautiful cottage on a beautiful site in one of the most popular areas on Burt Lake.